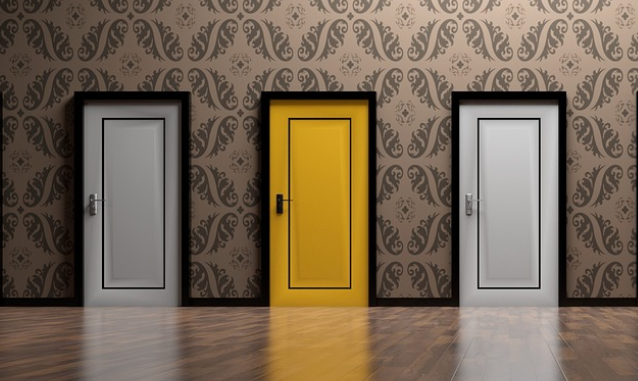 Single option aversion means that a potential customer is less likely to make a buying decision - even for something they want - if they don’t have the ability to choose from more than one option. This comes down to the inherent difficulty involved in making an evaluation without context. Humans are much better at making relative evaluations, where comparison between two or more options allows for a faster and more accurate assessment. Consumers know this, whether consciously or instinctually, and will often seek out at least one competing option before feeling confident about making a buying decision, whether that decision is about smartphones or solar projects. You’ve almost certainly already used the single option aversion principle in your solar sales strategy. Even if you’re offering a single financing option in your solar proposal, you compare that solar option to buying electricity from the utility, or as we like to call it, “the cost of doing nothing.” Adding the utility as an option provides the context for a relative evaluation of going solar, which will create confidence in your buyer. So, choice is good--but we can go a step further using the decoy effect. The decoy effect tells us that when consumers are presented with two options, they will sometimes have a difficult time making a buying decision. Introducing a third choice as a “decoy”, however, can quickly break the impasse. The key is that the decoy is clearly worse than one of the options while it is merely different (not clearly worse) than the other option. The option that is clearly better than the decoy will appear as “dominant,” and buyers will favor that option. Similar to single option aversion, this is all about how decision-making is often relative, not absolute. If presented with only the first and last option, you might have a hard time deciding between the $0 down and $3,000 down options. But your evaluation changes dramatically when you introduce the middle option as a “decoy” - it is clearly “inferior in all aspects” to the last option while it is merely different from the first option. With this “decoy” option added, your decision suddenly seems much easier, right? As we discussed in our blog about MyProposal, Sighten’s solar software makes it easy to build solar proposals that follow decision science best practices. You can build highly customized proposals, including very specific templates that ensure your sales process always maps to the buyer decision-making process. You can even change the exact variables that you’re comparing across different financing quotes..
All this ensures that prospects can clearly digest information and make the comparisons that lead to closed deals. To make things more tangible, let’s take a look at a few MyProposal solar comparison examples that show how easy it is to build decision science into your solar proposal. We’ve covered the advantages of offering a range of financing options in previous blogs on solar leases and PACE loans. Each type of financing appeals to different solar buyers, and if you know your customer, you can probably predict which option will be best suited to their needs. Even if you think you know the type of financing that’s right for a particular customer, single option aversion tells us that you should give them other options to choose from. And the decoy effect tells us that you can help nudge them towards “yes” by including one option that’s clearly inferior to the option that makes the most sense for them. Cash vs financing. Even if you know your prospect doesn’t have have the cash to purchase a solar system, detailing the full costs of a cash deal can make solar financing seem even more appealing. Ownership vs TPO. If your prospect is on a fixed income and can’t use solar tax credits, you might still want to offer a solar loan to make the advantages of a solar lease (where a third party utilizes the tax credit) that much clearer. Down payment or buydown decoy. To utilize the decoy effect, you might offer three financing options, one with no money down and two others that entail the same down payment. If one of the down payment options has a higher ongoing monthly payment (see our previous example), you’ve created a decoy and probably successfully nudged your prospect to the more competitive down payment option. Offering different solar financing options is a great example of the power of decision science to help you close deals, but it’s not the only one. As you know, there are all sorts of additional options you can offer your solar customers when putting together a solar proposal. 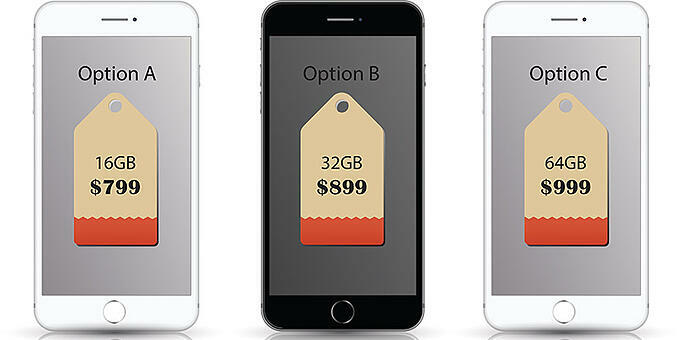 MyProposal lets you put them side by side in a way that makes a buying decision more likely. Optional add-ons. Solar proposals with optional add-ons like roofing upgrades and tree removal services can help you close a deal even if you’re pretty sure your customer won’t be interested. The “solar only” package will seem like a good deal in comparison. Premium equipment. If you sense that a prospect is interested premium solar panels, you can present a range of equipment packages including lower-efficiency panels, which will make premium panels seem like the clear choice. While these concepts may come from academic research on how the human brain makes buying decisions, you probably already have an intuitive grasp of the key principles at work. By harnessing the capabilities of MyProposal, you can ensure that you incorporate these concepts more methodically and effectively in your sales process. We’ll be covering more sales tactics based on decision science in upcoming blogs. Stay tuned and if you’d like to learn more about MyProposal or any Sighten feature, reach out to info@sighten.io!